Charles R. Kelley founded Radix, and later retired from directing the Radix Institute in 1987. As this new work of Kelley demonstrates, he continued to evolve his theory, as indeed the members of the Radix Institute continue to evolve the theory and practice of Radix. You may also order directly from the author by sending your shipping address and $29.00 (includes handling & shipping within the USA; other countries please add $5 for surface mail, $10 airmail). You may pay either via PayPal to the Kelley/Radix account or by check to Kelley/Radix at: 917 Topeka Lane Vancouver, WA 98664-1150 USA. Phone & Fax: 360-750-4406. E-mail: ericakelley@comcast.net. 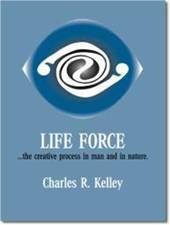 Click here for a list of publications by Charles R. Kelley, PhD, or download an order form. To go directly to the media page of the Kelley/Radix website click here. Edited by Linda Glenn, Ph.D. and Rudolf Müller-Schwefe, 1999. Heron Press. Published by The Radix Institute. 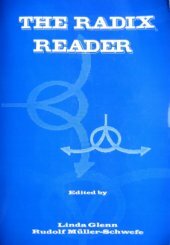 The Radix Reader is a compilation of writings extending over the history of the Radix movement, and conveys something of the aliveness and creativity of this body-centered approach while, at the same time, setting forth its unique identity and contributions. ON SALE – Now only $30 Including shipping and handling! 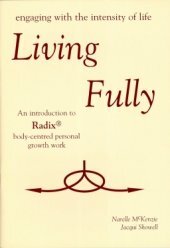 An Introduction to Radix Body Centered Personal Growth Work by Narelle McKenzie & Jacqui Showell. Those who are simply curious about Radix work and what it involves. To order, click on the Purchase button below. $11.50. How can you do Radix work?